This book reviews the key policy debates during the post-crash era, describing the issues that policymakers grappled with, the decisions that they took and the details of the policy instruments that were created. It focuses specifically on the policy regimes at the epicentre of the crisis: micro- and macro-prudential policy with chapters exploring the revolution in the conduct of macroeconomic policy in the period since the financial crisis. 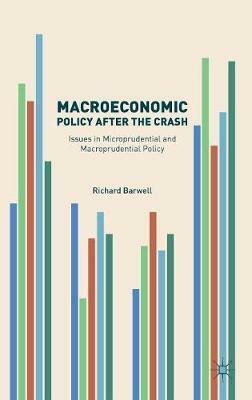 The author shows that throughout this period policymakers have had to balance two conflicting objectives - to repair balance sheets in the banking and public sectors whilst simultaneously trying to catalyse an economic recovery - and that has required them to innovate new tools and even new policy regimes in response. This book goes behind the jargon and explains what exactly policymakers at the Bank of England, the Treasury and beyond did and why, from QE to austerity to Basel III.